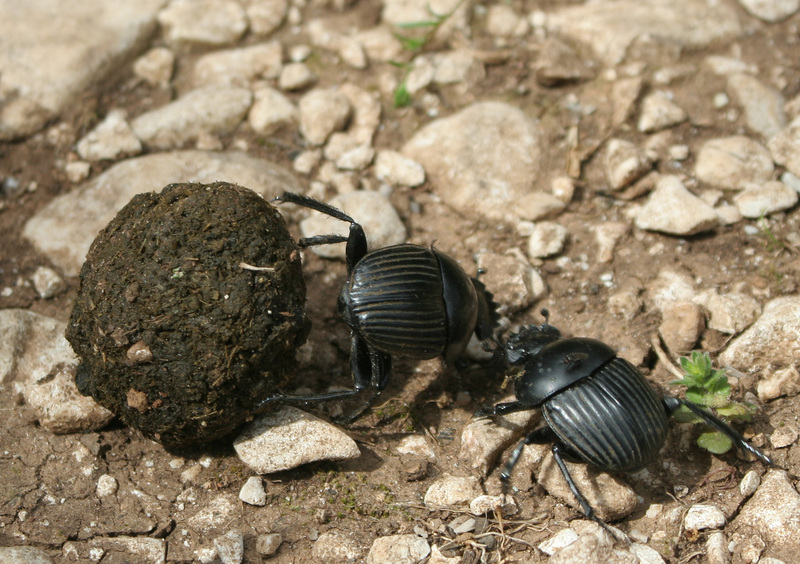 A study undertaken at Aberystwyth University suggests that farmers could save money and increase their areas of grazing pasture by helping to encourage the presence of the humble dung beetle on their land. The dung beetle’s role in the ecosystem is to break down cattle excrement, thereby moving nutrients and organic matter into the ground. Their tunnelling also aerates the soil which in turn helps to promote good grazing. Their activities also reduce pest flies and have a positive effect on the environment. Given that cow dung can take up to a year to decompose and animals are disinclined to graze on an area where dung is sitting, the help of the beetle in rolling and burying the dung is very important in speeding up the process. However, many of the chemicals used to eradicate internal parasites in cattle are toxic to the beetle, which has resulted in their population starting to decline. Farmers are being encouraged to re-assess the chemicals they use on a regular basis – particularly for worming their livestock. More mature beasts may not require routine worming as they will have built up an immunity to parasites over the years. The findings of the study suggests the dung beetle saves the farmer around £40 per cow per year, and that greater savings can be made by reducing the use of chemical wormers where possible. The savings come from greater use of pasture land and less expenditure on both chemicals and fertilisers. The study has been supported by Dr Beynon’s Bug Farm in St. Davids, where extensive research has already been carried out into the value of the dung beetle. The bug farm is planning a breeding programme to eventually provide a supply to farmers to assist in topping up the dung beetle population.